I started reading this book ages ago and just randomly stopped. Okay, it wasn’t entirely random, it was because the first time I sat down to read it, I actually intended to follow it and throw out fifty things. In much the same way that I ran out of steam with my One Year to An Organized Life reading and series of blog posts, I just couldn’t keep up with it on any sort of timeline, and gradually the book made its way into the closet and I didn’t even find it until post-KonMari. The thing is, I now compare all organizing/decluttering/tidying books against The Life Changing Magic of Tidying Up, and they all fall short. 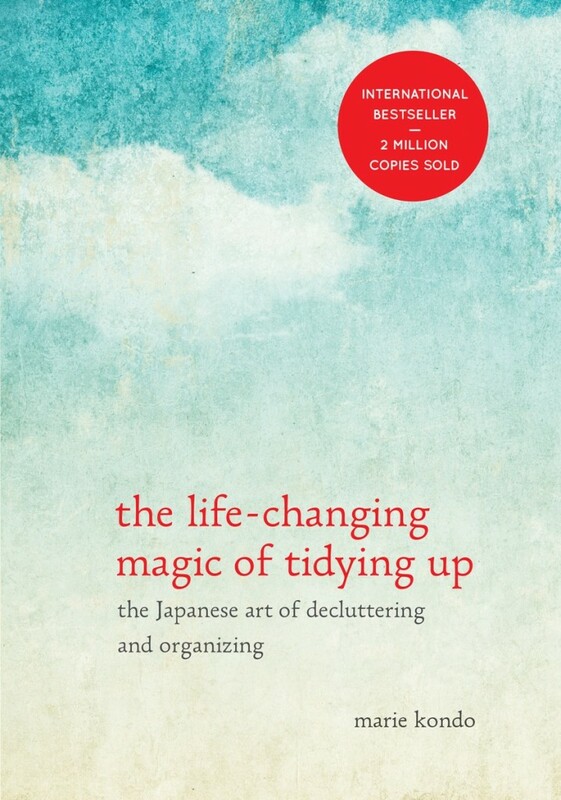 Not in the sense that the KonMari method is just so mind-blowing that no other book comes close to approximating the genius within those pages, but mostly because all those other books basically say the same thing, but not as clearly and concisely. 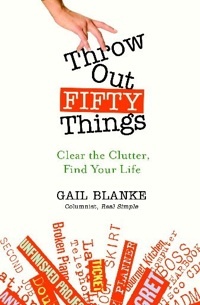 Gail Blanke’s purpose for this book is not actually centered around your living space. This is a motivational self-help book disguised as organizing how-to. The book is arranged into 3 basic parts (actually 4, but 1 & 2 are pretty similar). The first deals with physical clutter (what I was interested in), the second was mental clutter (hrm, okay), and the third was about achieving your maximum potential (what?). I just want a clean house – I’ll worry about realizing my dreams after that. (Really, my dreams right now are to be able to walk without stubbing my toe on something or be able to find something without tearing the house upside down.) I felt deceived by this book when I got to the third section, because it did not seem like the same book. And it became a whole lot of positive thinking meets “The Secret” meets cognitive behavioral therapy. And that stuff is all fine, but it just wasn’t what I was looking for. In a way, I can understand why a book might have this premise and also might appeal to a lot of people. If you are unhappy and looking to make a change, you might think a house sprucing-up might just be the ticket, but while reading you may realize you need to make some bigger changes in your life. That’s great! I hope this book really helped someone. I would have preferred that it hadn’t been advertised as something else though. After finishing the book, I skimmed the jacket and blurbs and really didn’t see how anyone would be able to see what this book is really about. Maybe that’s by design. Either way, it has a lot of rah-rah motivational speak that I find cloying and absurd. The book is also much too long for the content within. I did not throw out fifty things while reading it this time. I’d already done plenty more before that while going through KonMari, and the best part of that is that book was shorter and didn’t really require steps in between chapters. If I had decided to go back and do Blanke’s program, it not only would have required a lot of journaling for the mental clutter and dream actualization chapters, but I would have had to start over and go chapter by chapter. The best part of the book was the heart warming stories about being who had turned their lives around after dumping stuff they didn’t need and thoughts and feelings that were holding them back. I would read a whole book about that. This book fulfills the book with a number in the title and book you started but never finished requirements for the challenge.